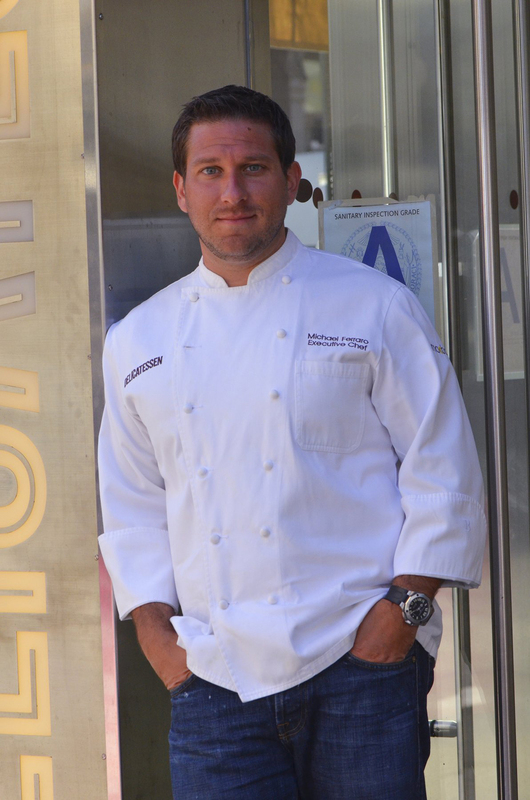 In New York City, the featured alumnus is Michael Ferraro, executive chef and partner at Delicatessen and Macbar in New York City, who earned his associate degree in culinary arts from the CIA in 2002. He cooked at some of New York's finest restaurants before going the entrepreneurial route as a partner in two restaurants specializing in sophisticated comfort food. Chef Ferraro was featured in the Zagat Guide's first "30 Under 30" rising leaders in the city's food scene in 2011 and he made Gotham magazine's 2013 Most Eligible Bachelors list, along with the likes of New York Yankees star Derek Jeter. The "Food is Life" video with Ferraro is available on YouTube. This first group of video shorts also features Gretchen Thomas, wine and spirits director for Barcelona Wine Bar & Restaurant group in Connecticut; Carolina Gomez, owner of Three Little Pigs Charcuterie & Salumi shop in Washington, DC; and Greg Vernick, owner and chef at Vernick Food & Drink in Philadelphia.